The personal website of Dr. Mark D. Baker, professor of Mission and Theology at Fresno Pacific Biblical Seminary. ¿Dios de ira o Dios de amor? Many a Westerner has had a cross-cultural experience of honor and shame. First there are those stuttering moments in the new social landscape. Then after missed cues and social bruises comes the revelation that this culture—indeed much of the world—runs on an honor-shame operating system. When Western individualism and its introspective conscience fails to engage cultural gears, how can we shift and navigate this alternate code? And might we even learn to see and speak the gospel differently if we did? In Ministering in Honor-Shame Cultures Jayson Georges and Mark Baker help us decode the cultural script of honor and shame. What’s more, they assist us in reading the Bible anew through the lens of honor and shame, often with startling turns. And they offer thoughtful and practical guidance in ministry within honor-shame contexts. Apt stories, illuminating insights and ministry-tested wisdom complete this well-rounded guide to Christian ministry in honor-shame cultures. The cross is the defining symbol of the Christian faith. Yet the Roman cross was first and foremost an instrument of cruel, shameful and violent execution. Early Christians quickly recognized the atoning significance of the cross of Christ, and it resonated deeply with their experience of salvation. But the cross remained a blessing framed by scandal, an epochal and yet mysterious event, irreducible to a single formulation. As Green and Baker demonstrate, the New Testament displays a rich array of interpretations of the cross. These were shaped by the church in mission as it rooted the saving story of a scandalous cross in the language of everyday realities and relationships. But for many Christians today, not only has the true scandal of the cross been obscured, the variety of its New Testament interpretations have been reduced to subpoints in a single, controlling view of the atonement. Tragically, the way in which the atonement is frequently and popularly expressed now poses a new scandal, one that is foreign to the New Testament and poses needless obstacles to twenty-first century peoples and cultures. At the heart of this book is a challenge for us to view afresh the variety of contextual understandings of the death of Christ in the New Testament and to reconsider how we can faithfully communicate with fresh models the atoning significance of the cross for specific contexts today. 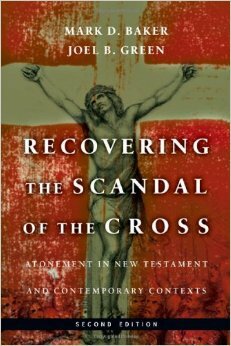 The authors explore how the atonement has been understood within a variety of contemporary contexts – both Western and non-Western – and show how we can enter into the thoroughly Christian mission of restating the saving scandal of the cross in our multicultural world of the twenty-first century. 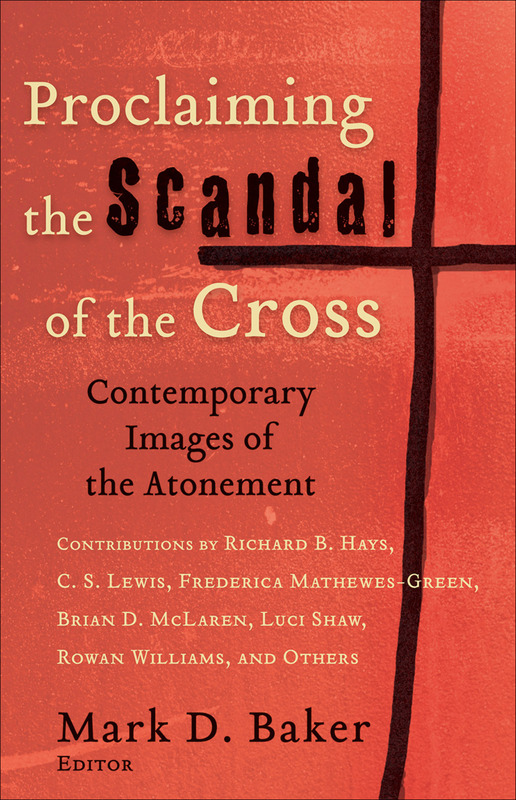 Proclaiming the Scandal of the Cross explores the need for contextualized atonement theology, offering creative examples of how the cross can be proclaimed today in culturally relevant and transformative ways. Mark Baker brings together presentations of the atonement given in a variety of contexts, from Africa to suburban Los Angeles, from junior high Sunday school classes to coffee shops. 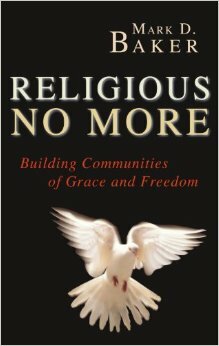 The images and metaphors in these presentations have been developed by pastors, writers, and theologians, including Richard B. Hays, C. S. Lewis, Frederica Mathewes-Green, Brian D. McLaren, Luci Shaw, Rowan Williams, and many more, who are actively working out just how to make this life-transforming proclamation. These contributors reveal that Christians should embrace a whole constellation of perspectives on the atonement, all mutually reinforcing, because the language of the atonement must at once be metaphorical, pastoral, and salvific. Learn from these creative examples to proclaim the scandal of the cross in your own context and profit from the theology of the atonement as it applies across the whole spectrum of human experience. Too many Christians are “religious”–their faith is more a human endeavor than a response to God’s loving initiative. Such religion assumes that our value comes not from God but from what we do. It absorbs principles and postulates from the surrounding society, leading to further misconceptions about God and our relation to our Creator. All this hinders people from experiencing vibrant Christian community, where they could freely love and be loved. missionary experience in Tegucigalpa, Honduras, at churches born out of North American mission work. Baker observes Honduran church life, draws parallels to religion in the North American church and mines from Paul’s letter to the Galatians exciting possibilities of robust Christian grace and freedom. The result is a bracing and refreshing approach to Christian community for laypersons, pastors, missionaries and mission strategists. “One of the first significant steps to build upon and weave together liberation concerns, serious biblical exploration and evangelical theology. Baker has written a book that will become seminal for . . . scholars interested in contextual, biblical and theological studies.” Willie James Jennings, Associate Dean of Academic Programs, Research Professor of Systematic Theology and Black Church Studies, The Divinity School, Duke University.